A lot of readers want to know the permanent iCloud Activation Lock removals as they’ve suffered from this for a long time. Most of them are jerked around by some tools or services. They’ve spent a lot of time and money on this. If you’re one of them, you should read this article before trying another way. I’ll make a full review of the iCloud Activation Lock removal tools and services. Q1. Can I Use a free iCloud Activation Lock removal tool/service? Q2. Can I bypass iCloud Activation Lock with jailbreak? Q3. Can I remove iCloud account with restore? Q4. 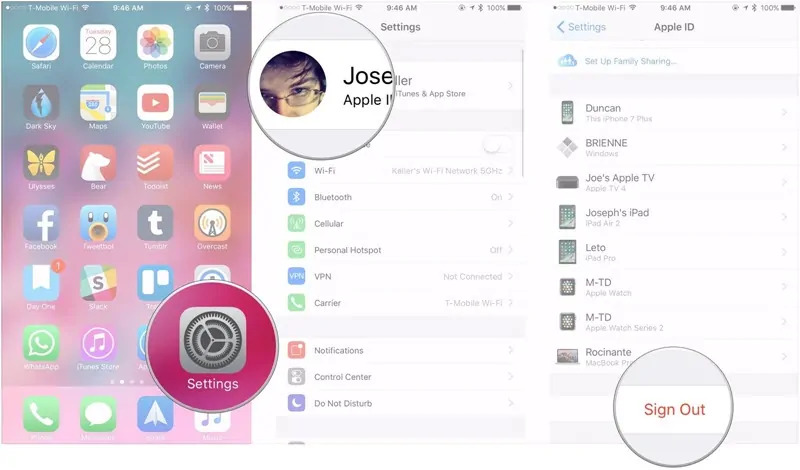 Does an iOS Lock Screen Removal software remove iCloud lock? Q5. Can I use third-party eraser software for iCloud Activation Lock Removal? Q6. The previous owner is glad to remove my iPad from his account, how to do that? Q7. I forgot Apple ID password, my email account is disabled, what should I do? You’d better not try. There are so many iCloud Activation Lock Removal tools or services, each of them claimed that they can help you unlock iCloud for free. But most of them are scammer. Some free tools are notorious for carrying viruses and other hidden threats which will harm your computer. The easiest way to judge whether it is fake or not is to check if it owns an official website. If it’s hard to find the download link or the official website is simple and crude, it must be fake. There are also some free iCloud unlock services. Their purpose is to collect your private information for fraud in the future. So, when you see something like “iCloud Activation Lock removal tool free download” or “iCloud Activation Lock Removal service free”, stay away from them. Never! iOS jailbreaking is privilege escalation for the purpose of removing software that may be restricting you from fully accessing your iDevice. It will never remove the iCloud lock. Never trust this kind of method even they can offer the successfully bypassed proof. No! When you restore your iCloud locked device, it just upgrades the iOS to the latest version and erases all the software and settings from your device, it cannot unlock your device. iCloud Activation Lock is a cloud service that’s designed to prevent anyone else from using your iPhone. It doesn’t exist in your physical device. So, it’s impossible to erase the Cloud service unless hacking the Apple server. No. The principle of lock screen removal software is the same as iTunes. This kind of software will download the latest firmware package for your iOS, then restore your device with the firmware. They are fake! Anything like “reset/erase iPhone without Apple ID or password” are scam. The third-party eraser software will let you turn off “Find My iPhone” in iPhone Settings which will require the iCloud password, just like the default factory reset. But the problem is that you cannot access the Settings and you don’t know the iCloud password. What’s more, iCloud Activation Lock is one of the features of “Find My iPhone”, if “Find My iPhone” has been disabled, there won’t be iCloud Activation Lock in your device. So, never purchasing iOS data eraser software if your device is locked by iCloud. Ask them to enter the Apple ID and password on the Activation Lock screen. Go to Settings > [your name]. Scroll down and tap Sign Out. Enter the Apple ID and password and tap Turn Off. Ask him to visit iCloud.com and sign in with their Apple ID. After login, choose Find iPhone option. On the top of the Screen, click on All Devices, then choose the iCloud locked device. Finally, click on Remove from Account. First, you need to contact the email service. If they can help you recover your email account, you can find the Apple ID password back by using the “Forgot Apple ID or password” feature. If they cannot recover your email account, you have to contact Apple support. You’ll need to offer them the purchase proof to unlock your device, it usually takes 2-3 weeks. There is only one permanent way to remove iCloud Activation Lock – using IMEI number. You need to choose an iCloud Unlock Service, and offer them your IMEI number. They will unlock your device by whitelisting your IMEI number. This way has been verified by most users. Different from iCloud Activation Lock removal tools, Devices unlocked by this way won’t get locked again in the future. You may think how you can choose a trusted iCloud Activation Lock removal service, as there are numerous tricks like this on the Internet. The best way is to check the reviews. That’s all about iCloud Activation Lock removal. If you have any questions, feel free to let me know! Thank you for sharing this very useful article. Really awesome post. Can I remove icloud activation lock from my ipad pro? Of couse you can do this with the above iCloud activation lock removal service. This is really helpful, thanks hey. I’m in possession of a lost iPhone 5s and would like to get in touch of the owner since I tried various internet methods to “bypass/unlock apple id” with no success and “find my iPhone” is activated on it so how can I do that please? You can also try the iCloud unlock service. 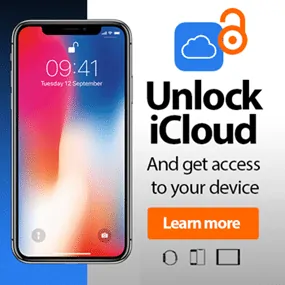 iCloud Unlock Free 2019: Can I Use It on My Locked iPhone/iPad?